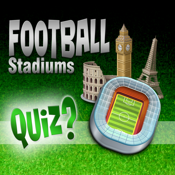 Do you know all the major stadiums around the world? True fans do. Now it's time of find out yourself. We have included 50 photos of the most popular football (soccer) and olympic stadiums worldwide. It's up to you to guess them all. Stadiums' names change all the time due new sponsorships, but they can't change their location. That's why we decided to test your knowledge that way. For each level you have certain number of taps(moves) that you can use to reveal parts of the stadium and guess its' city. There are famous stadiums in each continent, but some cities might appear more than once. If you have problems with any level, you can use the built in hint.